It has been warm lately here in Colorado, so much so that my grass is green already. That can only mean one thing – spring is really here! It’s time to put away the snow shovel, pack up the heavy coat, and open the windows to let in the fresh air. But after you let in that crisp spring scent you may realize that the indoor air is stale, which indicates the next step. Spring is the time for a bout of cleaning. 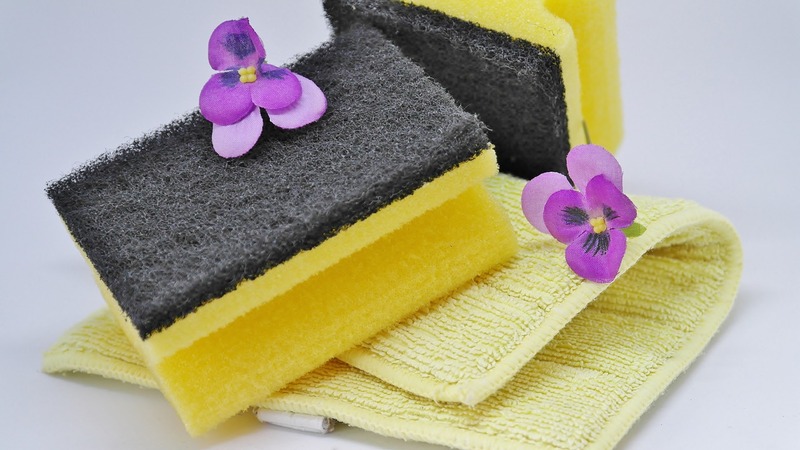 Spring cleaning is often when we do a thorough home cleaning, and we include areas that have been untouched for awhile. It is also a chance to really finish off the germs that have lurked around causing the flu. To accomplish this, Aromatherapists like to include heavy-hitting antimicrobial essential oils along with clean, fresh smelling oils. For germ-killing during cleaning, I prefer Tea Tree (Melaleuca alternifolia) or Thyme (Thymus vulgaris) because they are both antibacterial, antifungal, antiseptic, and antiviral. The refreshing essential oils I use are Grapefruit (Citrus paradisi), because it is revitalizing and antibacterial, and Lemon (Citrus limon), which is uplifting and antiseptic. Combine water and vinegar in a 4-ounce spray bottle. Add essential oils and shake before use. To make your cleaning easier, Elemental Aromas is having a drawing! To enter to win a bottle of Tea Tree essential oil and a bottle of Lemon essential oil, please comment below with your spring cleaning tip. A random drawing will be held on April 30, 2018 and the winner will be announced in a comment below. My tip is to do a major decluttering before beginning spring cleaning. Do we really need 20 knicknacks collecting dust? Ten blankets or throws in the lounge area holding on to kitty hair? Stacks of magazines that should have been tossed months ago? Once the clutter is gone, surfaces are much easier to clean and maintain! That is an excellent idea. Getting the extras out of the way makes cleaning easier and leaves less to dust. My tip: buy the little things that make life easier to organize and clean. Baskets to corral stuff, over the door hooks to hang things, the right dish scrubbies and brushes, spray bottles…..get the right tools and organizers! Great tip, Tami. Organizers are very important, and we know you can’t get the job done without the right tool. They both make cleaning up much quicker. Great suggestions, Cara. Thanks for the self-care reminder. Congratulations Cara – you are our winner! Please contact linda@elementalaromas.com with your contact info and we will get you your essential oils.